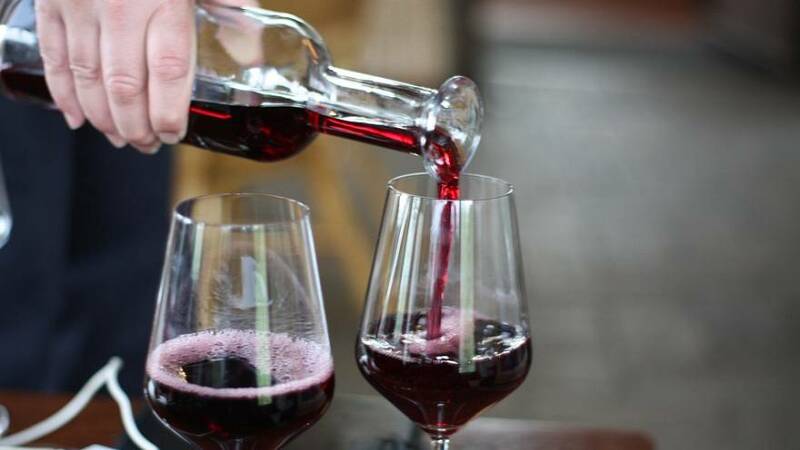 French people are being urged to cut back on their alcohol consumption by a new government campaign but for many in the famously wine-loving country, two glasses a day barely keeps the doctor away. "For your health, alcohol should be limited to a maximum of two glasses per day, and not every day either," a new campaign from the national public health agency, Santé Publique France, states. It warns that about a quarter of French people regularly exceed safe drinking levels and that 41,000 people die every year from alcohol-related causes. It recommends no more than 10 glasses of alcohol per week. "Our goal is to enable the French to make the informed choice of a consumption that is less risky for their health," Francois Bourdillon from Santé Publique France, said in a statement. "Without denying the "pleasure" dimension that can be associated with the consumption of alcohol, it requires to make known the risks linked to alcohol, to disseminate the new consumption benchmarks and to invite the French to think about their consumption," he added. According to data from the World Health Organisation, French people are far from the heaviest-drinkers in Europe, consuming an average of 12.6 litres of pure alcohol every year. Lithuania, Germany, Ireland, Luxembourg and Latvia all have higher rates. But wine features prominently, representing 58% of all alcohol consumed in France and the subject can be a touchy one. French President Emmanuel Macron drew the ire of medical professionals last year when he said: "personally, I drink wine at lunch and dinner" before warning that "there is a public health scourge when young people get drunk on strong alcohols or beer, but not with wine." In a column published in Le Figaro newspaper, health experts rebuked the president for "clearly showing his support to the wine industry." Agriculture minister Didier Guillaume also landed in hot waters after admitting in January that binge-drinking, particularly among young people, was a problem before saying: "Wine isn't alcohol like the others." "It's a real problem but I've never seen, to my knowledge — unfortunately, perhaps — a youngster leaving a nightclub drunk because they drank Côtes-du-Rhône, Crozes-Hermitage or Costières-de-Nîmes," he added. His statement was firmly rebuked by Health Minister Agnés Buzyn. On social media, the latest campaign was met with some amusement. Twitter user José Curcuma said that this "grandmother has been drinking two small glasses of wine every day for decades, she falls in the category of excessive drinkers...She'll turn 90." Another joked: "10 glasses per week??? 2 glasses a day?? My god that's only the 2 hours of apéro on Monday!" Others, however, criticised it for normalising daily alcohol consumption. "We're in 2019...The health ministry is launching a campaign which banalises two glasses of alcohol a day," Damien Mascret wrote on Twitter.